I indeed have great pleasure to participate in this Conference organised by CCFI on “Government, Industry and Farmer working together to make farming more profitable in Maharashtra and India”. I believe it is very important area where Regulatory Authority and Industry need to put greater efforts. At a conference organized by the Crop Care Federation of India (CCFI) along with the Ministry of Agriculture and Farmers Welfare, Govt. 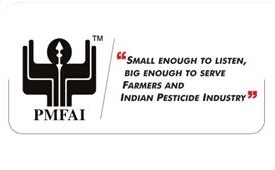 of India and Government of Maharashtra on 23rd January 2019 in Mumbai, Pesticides Manufacturers and Formulators Association (PMFAI) President Pradip Dave delivered a speech titled “Cooperation between Regulatory Authority and Industry in Doubling Farmers Income.” PMFAI was also the supporter and one of the sponsors of the event. The following is an excerpt from that speech. Rahul Pawar, a young and educated farmer running a nursery at Khutbav Village on the Pune Solapur highway had been doing brisk business selling saplings to farmers for years. He had about 40 women working at the nursery through out the year. Now he employs 15-20 people intermittently as business is down with vegetable growers, caught between low prices of produce and rising input costs, struggling to keep going. Such was the demand for vegetable crop sapling that he had to take saplings from other nurseries in order to fulfil his orders. But now his annual turnover has declined by about 20% …… Article goes on to say that the mood in the region is gloomy as farmers have not got good prices for three years. Prices of Tomato, Onion, Potato very poor. ….. Despite the jump in productivity, lower prices and higher input costs have hurt farmers. I have highlighted above only few lines from article. We need to take steps to address such situation effectively by appropriate measures. Post-harvest infrastructure is very poor and when there is bumper crops, farmers are forced to sell produce at throw away prices. Increasing and upgradation in storage facilities to preserve produce for longer duration can bring changes in remunerative prices. For this to happen, encouraging policies be introduced in developing of infrastructure in states for cold storage systems. Also, taxation on key inputs like Agrochemicals needs to be brought down from the present 18% to minimum level of 5% which would reduce input cost to farmers. The main point of discussion for us today is Cooperation between Regulatory Authority and Industry, which can help doubling farmers’ income. As far as Crop Protection Products are concerned, to achieve this, devising policies for supporting farmers to ensure supply of advanced and effective crop protection technologies at most reasonable price, maintaining minimum agri inputs costs for farming is key; which not only accessible to large scale farmers but also to small land holding farmers who are very key for increasing productivity in agriculture and success of Indian Agriculture. (1) it is mainly a section of small farmers who are many times losing their crops due to pests and diseases, as majority of this section not using plant growth and crop protection technologies as many times it becomes unaffordable to them. (2) In another scenario – it is also a fact that use of fertilisers and pesticides have increased agricultural productivity but at the same time cost of cultivation has increased for farmers by higher input costs. As pointed out earlier low prices of agri produce like vegetables, particularly in season when productivity is more, input cost becomes greater concern for farmers and farmers become restless and often resort to protests against Government on MSP which is lower. · First priority should be finding ways to produce agri inputs like pesticides and fertilizers at minimum production cost. · Marginalising Imports by Developing Infrastructure to manufacture advanced crop protection technologies indigenously be key area which could bring down cost to farmers, which ultimately increase Farmers Agricultural income. · Government should take steps to stop increasing imports of readymade pesticides formulations (finished products) without registering technical grade products in India. Policy by which these registrations are granted for imports of readymade pesticide formulations only helps in creating monopolies, resultantly high prices of such pesticides to farmers. Compulsory registration of Technicals along with Formulations is very key as is prevailing in all major agricultural nations in the world. · Currently Indian Agrochemical manufacturing sector largely depends on imports for some of the key Intermediates and Raw material to manufacture Active Ingredients (Technical Grade Products) required for Formulations. Large quantity of Technical Grade products are also imported for manufacturing Formulations. This needs to be changed. · Regulatory Authorities/Government and Industry needs to work together to devise policies and feasible projects which could help indigenous production. Regulatory Authority and Government can support large scale industries developing R&D facilities and infrastructure for production of key technologies locally; and also Government controlled research institutions can develop technologies and offer for commercialisation to Indian industries, particularly MSMEs. Such arrangements for indigenous production can bring competition in domestic market, resultantly availability of crop protection products to farmers at most economic cost. · Government should not fall prey to demands by NGOs and Environmentalists to ban Generic Pesticides, which are available to farmers at very economic rice and has not shown any adverse impacts on soil and environment. · Agrochemicals worth US$4.1 billion are going to be Off Patent by 2020. Large number of Technical products will be getting off patent which will be an opportunity for Indian companies. India be ready to take benefits by devising policies and developing indigenous technologies to manufacture these products at competitive price for the benefit of Indian Farmers. · Though rules and regulations are in place, we need to devise effective methods to stop registration, manufacturing and marketing sub-standard & spurious products and strictly controlling activities of fly by night operators. They are big threat to Farmers and reason for crop failures, which makes huge financial burden to farmers. 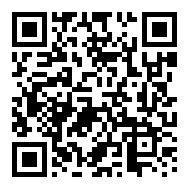 · Effective methods to be devised to check and weed out non serious product registrants of agrochemicals. Methods be devised and directives be given to state authorities to stop operations of fly by night operators. · Education and Training of Farmers and Dealers in right usage of pesticides at right times; following waiting periods; using of protective gears while application of pesticides are other areas where Government and Industry needs to concentrate more as in cases of accidental poisoning, industry and government gets targeted. We have many examples before us, particularly in Maharashtra.